Pregnant Tamar Braxton and husband Vince Herbert were seen baby shopping yesterday in Los Angeles. Tamar looked cute while sporting her Celine handbag. 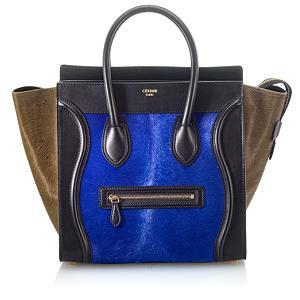 The Celine bag retails for $3,600. Rent the mini luggage tote in this color or others for one month from Bag Borrow Or Steal for $325-$500.